Rabbi Ovadia Yosef hosted MK Rabbi Eli Ben Dahan at his home and said he actually likes Bayit Yehudi. A meeting at the home of Shas spiritual head Rabbi Ovadia Yosef may signal a lessening of tensions between the Sephardic hareidi party and the religious Zionist party, Bayit Yehudi (Jewish Home). Maariv/NRG reported Tuesday that the venerated rabbi hosted Bayit Yehudi MK, Rabbi Eliyahu Ben Dahan, at his home, on Sunday. After spending some time in conversation with each other without anyone else present, they were joined by Shas Chairman MK Aryeh Deri, and by the new Sephardic Chief Rabbi, Rabbi Ovadia's son, Rabbi Yitzhak Yosef. Rabbi Ben Dahan is in charge of the Chief Rabbinate as Deputy Religions Minister. He was also Director of the Rabbinical Courts for about 20 years. A meeting between Rabbi Ben Dahan and Rabbi Yitzhak Yosef on Thursday reportedly defused some of the initial tension between Shas and Bayit Yehudi, which peaked during election season, when Rabbi Ovadia called Bayit Yehudi "a home of gentiles." 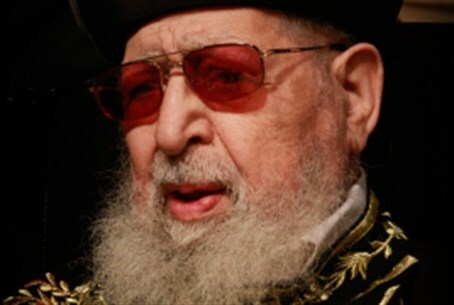 Another Shas rabbi had called religious Zionists "Amalek" in the presence of Rabbi Ovadia. After they found common ground in their meeting on Thursday, it was decided that Rabbi Ben Dahan would be invited to Rabbi Ovadia's home. Rabbi Ovadia reportedly told Rabbi Ben Dahan that he actually likes – or loves – the Bayit Yehudi party and its supporters. "I have nothing against the party," he said, and expressed his wish to turn over a new leaf in relations with the party.